To request how to get your copy, only corporate emails accepted. 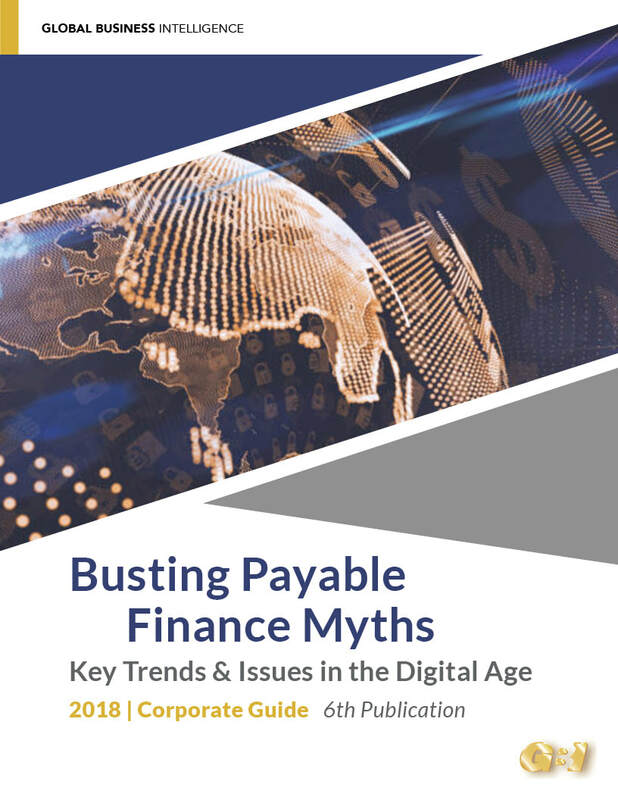 Busting Payable Finance Myths in the Digital Age is designed to help Finance, Procurement, Treasury and Supply Chain professions evaluate the latest trends, issues, and perspectives impacting buyer-led early pay techniques. GBI conducted over thirty interviews with corporate treasurers who have implemented various early pay programs or are thinking about implementing various programs to provide deeper content than press release type information. Onboarding Suppliers - Can we Leverage Technology to Conduct KYC compliance? How are Implementation Cycles improving? How will Rising Rates impact Early Pay Programs? > prior publications in 2007, 2009, 2012, 2014, 2016. Disclaimer: No part of Global Business Intelligence publications may be reproduced, photocopied or transmitted without the written permission of Global Business Intelligence. Although considerable efforts have been made to ensure that the information contained in GBI publications is accurate, GBI does not accept responsibility for any errors and omissions.